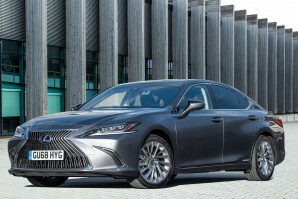 The Lexus ES is a full-sized Executive saloon that might get forgotten in a segment dominated by cars like the BMW 5 Series, the Mercedes E-Class or the Audi A6. Yet it doesn't deserve to be. It offers (non-Plug-in) petrol/electric power for less than you'd pay for a smoky diesel version of a Teutonic competitor. And much more equipment too. If you want to spoil yourself in this segment and luxury and low running costs take precedence over drive dynamics, the ES could be an appealing package.